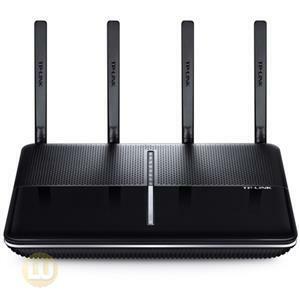 The Black Diamond Series RT-N53 router brings striking design together with impressive simultaneous dual-band performance - the 300 + 300Mbps speed combines the usability of the 2.4GHz band with the stability of the 5GHz band. 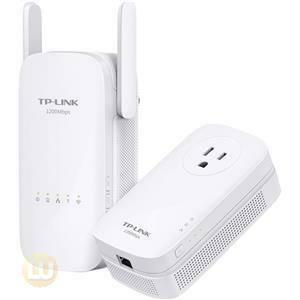 Delivering fast connection speeds in both wired and wireless connection, the RT-N53 is ideal for large home environments to enjoy seamless HD video streaming, online gaming and internet surfing all at the same time. 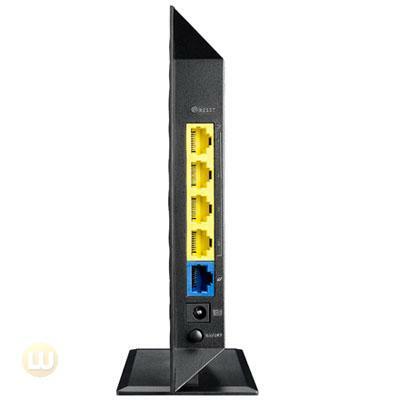 The straightforward QIS (Quick Internet Setup) web-based wizard ensures you can get to the Internet without hassle, regardless of operating system. 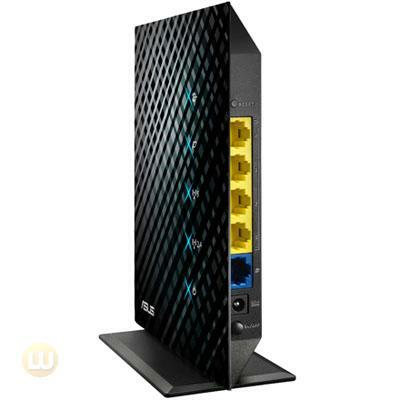 The unique EZ QoS (Quality of Service) can easily allocate bandwidth according to their individual needs by simply clicking on the buttons. Multiple SSID connections helps you create 3 more separate and limitable access networks for different roles. 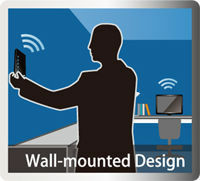 Double your wireless performance and bandwidth with simultaneous 2.4GHz and 5GHz bands, with speeds up to 300Mbps concurrently. While basic internet applications like browsing or file downloading can occur in 2.4GHz, wireless HD content streaming takes place in the 5GHz band at the same time, so both achieve optimized speeds and you get to enjoy smooth, buffer-free HD content streaming. 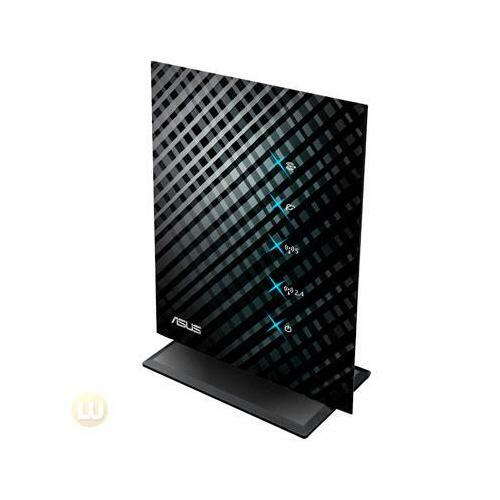 ASUS QIS and EZ UI offer you an intuitive router setup without reading manuals. 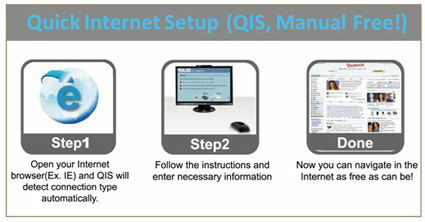 Open your browser, then the QIS wizard will guide you to quickly connect to the Internet, regardless of what OS you use. The intuitive user interface provides a graphical network map, making wireless setup, QoS and client management clear and simple. 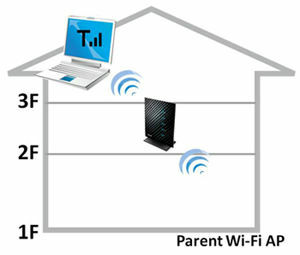 The RT-N53 can provide 4 wireless networks over the 2.4GHz band, which provides separated connection priorities and access rights. For example, High priority and both network (private and Internet) access are perfect for managers, while middle priority and private network work great for staff, and low priority and internet access only for friends and guests. 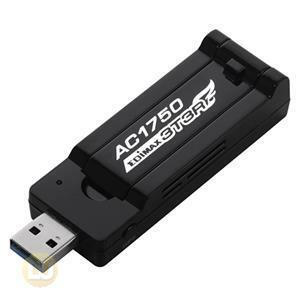 Protect computers from unauthorized access, hacking and virus attacks. 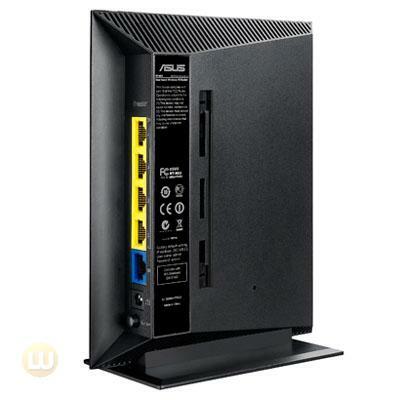 With ASUS Universal repeater support, you can use the RT-N53 way to repeat your wireless signal to far away locations from the central access point. 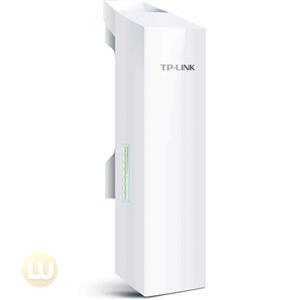 Scan for the Wi-Fi signal and link to the SSID you want to repeat. 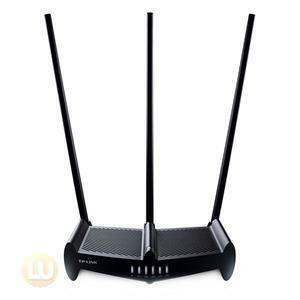 *Please take note that all repeaters, including this Universal Wireless Repeater mode, will sacrifice half of the bandwidth available from the primary router for clients wirelessly connected to the repeater. Currently, the RT-N53 only supports the 2.4GHz repeater setting.